Notes: Unlike a number ( OK most) small and/or craft distilleries that have sprung up in recent memory Apple Country Spirits definitely fits the profile of what a Farm Distillery should be. While there are a good number of distilleries now in New York State (over 60 active ones) and many use the New York product rules and exemptions which specify they use over 80% of New York sourced products to make their distillates, there are many fewer that would qualify as true farm distilleries in the truest sense of the word in my mind – using products on their own family held land just outside the doors of the distillery. 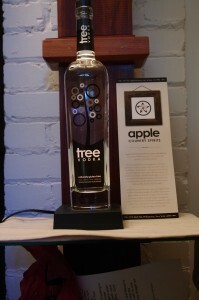 Apple Country Distilling is part of the fourth generation owned Defisher Fruit Farms in Williamson, New York. Comprising about 450 acres of land, the family farm produces cherries,apricots, peaches, pears, pluats, and raspberries. 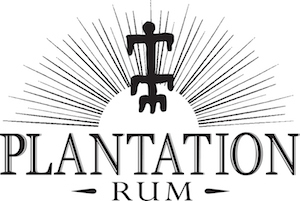 While many of these fruits are sold wholesale, they decided to start a distillery using their fruit to make distilled products.When asked why he would drop a boatload of money on distilling equipment, tasting room, new building and hiring on a master distiller, He was enthusiastic and had a number of thoughtful answers to this question First and foremost was that he wanted to be sure they did all we could to keep the family farming operation profitable and viable for the next generation an add on or amplification of this was create a new value added product made from the fruit that they already grow to further the goal of keeping the family farm going and diversify their products. The second part of the answer was a bit more visionary and ambitious “To create a “legacy” for our area of NY. To start a new tradition of Upstate being known as the home of the highest quality fruit distilled spirits in the country “. Appearance: Bright clear, silvery appearance, clean, lean, body to it. Leaves a very thin coating on swirling with an edgeline that starts to almost wrinkle then coalesce to form tears and droplets. First Impression: Very pleasant but distinct apple scents to it. If you can’t pick this out of the mind and nose numbing sea of soulless, fear of flavor vodkas, there is no hope for you. Taste: Very much the heart of a distilled apple. Think a high proof, aromatic apple whispers of apple skin, spice, and apple essential oils rush around you mouth chasing each other with a pleasant bright apple crispness/acidity, with heat and warming. People talk of capturing lightning in a bottle, well this crew has captured apples in a bottle with one hell of a ( pleasant) jolt. Body is slightly and pleasantly oily, clean, and with some warmth and nice fade on the finish. As the Japanese say “Shiripin” or it has a tail. It leaves a pleasant and clean apple aftertaste in the finish with some warmth and a pleasantly slightly oily aftertaste. Drinks: We have been experimenting with a number of variations of Fizzes lately (Silver, Gold, , etc, )and found it worked well with those. They also have a cider drink called the Empire that was quite tasty too, and they have a number of recipes that should be up on their website fairly soon. The vodka is also quite good with chartreuse ( especially yellow) , and generally add a lot of flavor to a vodka drink with a nice apple spin. The vodka is also one of the few vodkas that could be amusing and a artful challenge to bartenders and mixologists in that it has a number of nice flavor characteristics that make it fairly unique to the market , virgin territory in drinks creation is getting increasingly hard to find. Bottle: Tall clear glass, heavy glass decanter bottom with beautiful high grade glass, square going up to rounded off shoulders and a medium length neck. All labels are plastic, silkscreened in black and white to produce a minimalist and slightly striking design and are easily removed so you can reuse the rather elegant bottle with a minimum of fuss and effort for other projects such as infusions, juices, oils, whatever. This is further simplified by the use of a good quality synthetic cork, which not only seals in flavor for the vodka but also easier to clean and reuse. 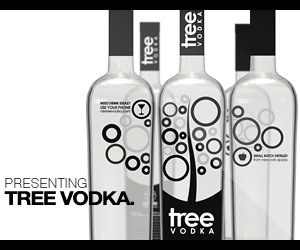 Black neckwrap with “tree vodka” and a clear neck capsule complete the package. While it is quite hard to make a vodka bottle stand out in the oceans of vodka out there, they seem to have achieved this in a subtle way. Final Thoughts: An outstanding vodka for both uniqueness and taste, it makes a great mixer or can even be enjoyed on its own.